What can we do together in the fight against childhood obesity? Let’s start by involving kids and their parents in a hands-on environment that actually focuses on preparing healthy foods. The goal of the Junior Leagues’ Kids in the Kitchen initiative, which is supported by The Association of Junior Leagues International, Inc. and its member Leagues, is to promote child health and wellness by empowering children and youth to make healthy lifestyle choices, therefore preventing obesity and its associated health risks. Inspired by the Junior League of Calgary’s Junior Chefs program, the Junior Leagues’ Kids in the Kitchen initiative began in 2006 with the goal of engaging kids in the preparation of healthy meals as a means to educate them and their parents regarding nutrition and healthy lifestyle choices. 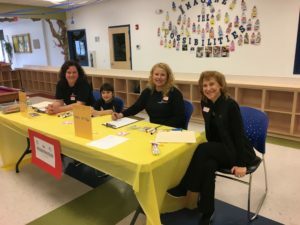 Junior Leagues in more than 200 locations provide lessons and demonstrations related to preparation of healthy meals and snacks in partnership with local community organizations, chefs and nutritionists. 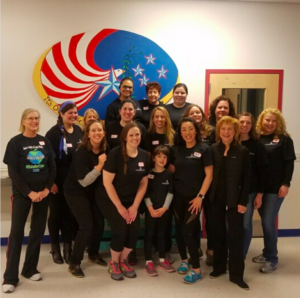 Some Junior Leagues have used the Kids in the Kitchen as a spring board to build out their childhood nutrition programs and are working on hunger, fitness, gardening and life skills. The Association of Junior Leagues International, Inc. is currently expanding the breadth of programmatic and issue based resources that Junior Leagues can access in order to scale-up their Kids in the Kitchen programs and have greater impact on the communities they serve. If you are looking for examples of a successful, volunteer-driven childhood obesity program, the ones run by Junior Leagues in more than 200 communities in the U.S., Canada, Mexico and the UK is a great choice for a low-cost, high-impact approach. Junior Leagues’ Kids in the Kitchen is now in its 8th year. In cities as varied as Los Angeles, Calgary, Mexico City and London, the program’s common denominator is committed volunteers involving kids as well as their parents to change lives by preparing food that’s fun (and healthy) to eat. The Kids in the Kitchen website continues to attract thousands of unique visitors each month during the height of the media outreach in National Nutrition Month (March) and continues to reach visitors throughout the year. Founded in 1901 by social activism pioneer Mary Harriman, the Junior Leagues are charitable nonprofit organizations of women, developed as civic leaders, making a demonstrable impact on their communities. True to their legacy, today’s members are at the forefront of tackling society’s toughest and most critical issues—childhood nutrition and obesity, human trafficking, foster care, juvenile justice, teen self-esteem, cybercrimes, literacy and the environment, among others—for the purpose of enhancing the social, cultural and political fabric of our civil society. Together, our 155,000 members in the U.S., the U.K., Mexico and Canada constitute one of the largest, most effective volunteer organizations in the world.